This Mother’s day, enjoy a delicious hot and cold continental buffet breakfast. 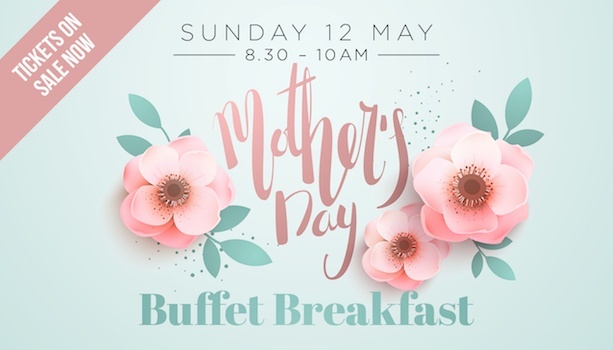 With lucky door prizes, plus a glass of sparkling for Mum on arrival it is sure to be a fantastic day. The Cosmo Kids Club will be open early to keep the little ones entertained while Mum can relax. Bookings Essential, payment with booking required. Call us now to book 3354 1333!